Pitcairn, P.A. – On February 2, 2016, Pitcairn Ambulance Association won the right to organize under the International Association of EMTs and Paramedics (IAEP). Organizers Michael Marasco and P.J. Roche worked tirelessly on this campaign so that the professionals of Pitcairn could receive the rights and benefits they deserve. As first time union members, Pitcairn’s concerns lie with just treatment from management and fair wages. Congratulations to our new members on this accomplishment, we look forward to helping you have a voice in changes reguarding wages, benefits and working conditions. 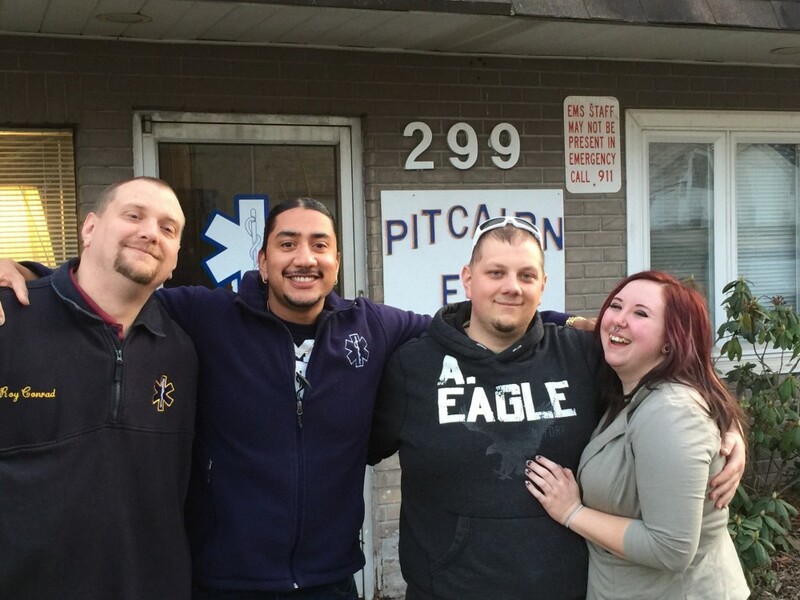 Pitcairn Ambulance Association employees and new IAEP members!